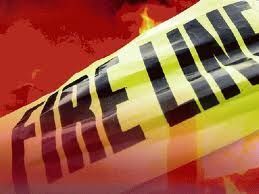 ST. MARYS – A fire destroyed a St. Marys residence at 2:03 p.m. Friday at 109 Challingsworth Rd., reported the state police at Ridgway. The Pennsylvania State Police Fire Marshal and the Crystal Fire Department investigated the origin and cause of the fire. The fire destroyed a two-story, wooden-framed residence owned by Glen A. Challingsworth, 56, of St. Marys. Challingsworth was not at home at the time of the fire. Damage was estimated at $400,000; the fire remains under investigation at this time, state police said.